‘Save the Dates’ as details of one of the top angling events in the North West have been announced today by Mayor of Derry City and Strabane District Council, Cllr John Boyle. The North West Angling Fair 2019 will take place along the banks of the River Derg in the spectacular setting of Castlederg Castle on Saturday 6th and Sunday 7th April. 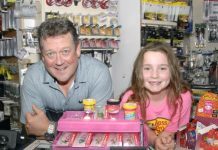 Back by popular demand, the angling fair is returning for a fourth consecutive year (the previous three being at Melvin Sports Complex in Strabane) and is once again set to attract some of the UK and Ireland’s top fly-dressers, casters and anglers. Opening daily from 10am to 5pm, the fair promises to be another huge success and a great occasion for all of the family to enjoy. Mayor Boyle said this year’s event is an excellent way of promoting the river and fishing tourism in the Castlderg area. “I’m delighted to see the NW Angling Fair taking place this year on the banks of the River Derg with the stunning backdrop of Castlederg Castle” he said. 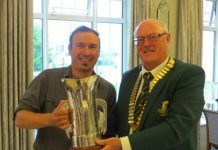 “Council is very keen to support events which promote sport and showcase areas throughout the district – and we believe that this event has huge potential in terms of actively promoting the Castlederg area for Angling tourism. “This year’s event is also a great way of getting people out and about and encouraging them to enjoy fishing and the River Derg. “It’s also great that the Loughs Agency are partnering with us again this year – with a programme of activities to encourage new participants – particularly encouraging more people to take up fishing, young and not so young. Indeed, staff will be on hand to provide assistance to anglers with their e-Licence system and answer questions on development, conservation and protection of the river and its fish. “A host of celebrity fishing experts will also be making an appearance at this year’s NW Angling Fair – and a firm favourite of the programme will be the series of outdoor single and double handed casting demonstrations when spectators will have the opportunity to watch expert anglers practice their sport and get free advice. 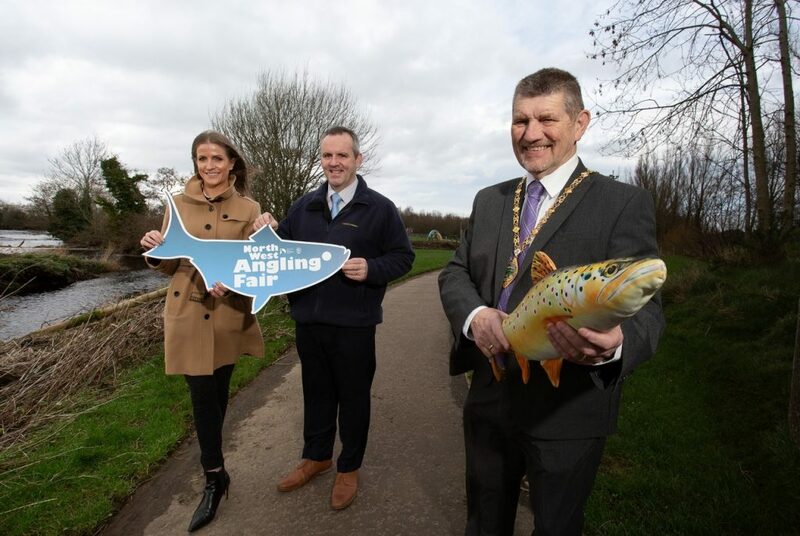 Festival and Events Officer with Derry City and Strabane District Council Liz Cunningham added: “This year’s NW Angling Fair promises to be yet another amazing weekend of activities for angling enthusiasts and the whole family – which will build upon the huge success of previous years. “Indeed, with three years’ experience of hosting the event– and following the positive feedback from those who have previously taken part – this has helped us build this year’s event into something even more special! “As well as having top angling celebrities and experts in attendance, we will also have lots of demonstrations – including fly tying – and trade throughout the weekend. For further information on the NW Angling Fair 2019 and to apply for the free fly tying & casting lessons visitwww.derrystrabane.com/anglingfair or contact Elizabeth Cunningham on elizabeth.cunningham@derrystrabane.com 028 71 253253 ext. 6956.